At Casa Qoya we process the cacao produced by the trees of our Qoya Estate and that of other farmers in the area. Our profit center specializes in post-harvest. In this way we make sure that the product achieves a high quality. Join us in the transformation of so valuable seed from its origin, to the cacao beans, ready to be turned into one of the best chocolates. Casa Qoya invests in its farmers to ensure a better quality of cacao beans. By not having intermediaries, farmers receive a premium from Casa Qoya on the market price for their cacao. 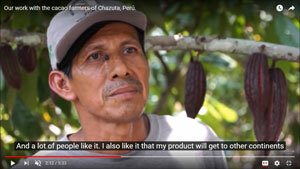 Watch a video below about our work with the farmers of Chazuta. We introduce you to some people engaged in producing premium cacao for Casa Qoya and you.  At Casa Qoya we only use cacao of Chazuta origin, from the San Martín region, Peru. Known worldwide for being a fine cacao with a high quality aroma, coming from the Peruvian Amazon. From the big city to the majestic jungle. Looking for new horizons, we escaped from the city of Lima and arrived at Chazuta, a district in the High Jungle of the San Martín Region. This is for us like a dream come true: live in the countryside and bet on our Peru. Now we are surrounded by majestic forests and the chaotic traffic we have exchanged for relaxing boat trips on the splendid Huallaga river, sailing towards the sunset. Initially we were overwhelmed by the amount of wonders that the jungle keeps inside and living with this impressive nature, we tuned our senses and we could clearly hear the “call of the jungle” through the sweet, soft and aromatic voice of cacao. Among our objectives is also to support the native communities through different social undertakings, as well as giving great importance to caring for the environment. Are you a chocolatier looking for a fine grain and aroma, harvested in a selected way, with a gourmet treatment? We send them from Chazuta, a region recognized for the superior quality of its cacao. For cacao beans and other products, contact us for more information.